I love my blue dotted polli-pot! It came very carefully packaged. I loved the added touch of a handwritten note on the pretty leaf card. I would not hesitate to buy from this shop again. Thanks! I love how well made these items are. Such a delightful piece and a wonderful addition to my kitchen! Awesome! I love my matcha bowls! 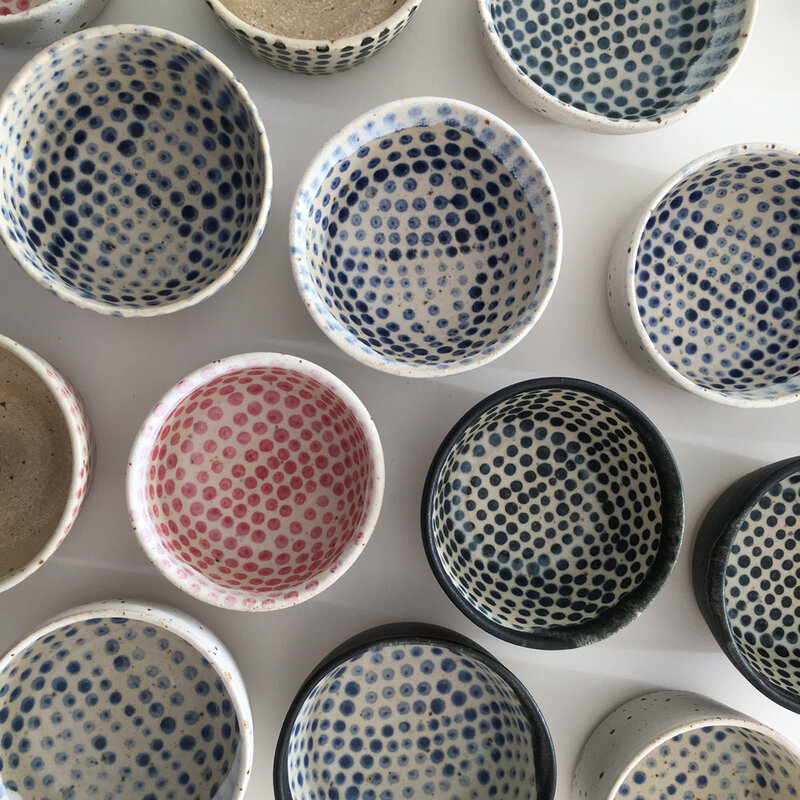 Eeli made more pots than I planned to buy - simply so I could choose the 3 I loved the best. And a very quick turn around at holiday time - great customer service and products!!! This is a beautiful and precious small bowl. Well made with interesting detail. I love it! I will absolutely order from Eeli again. 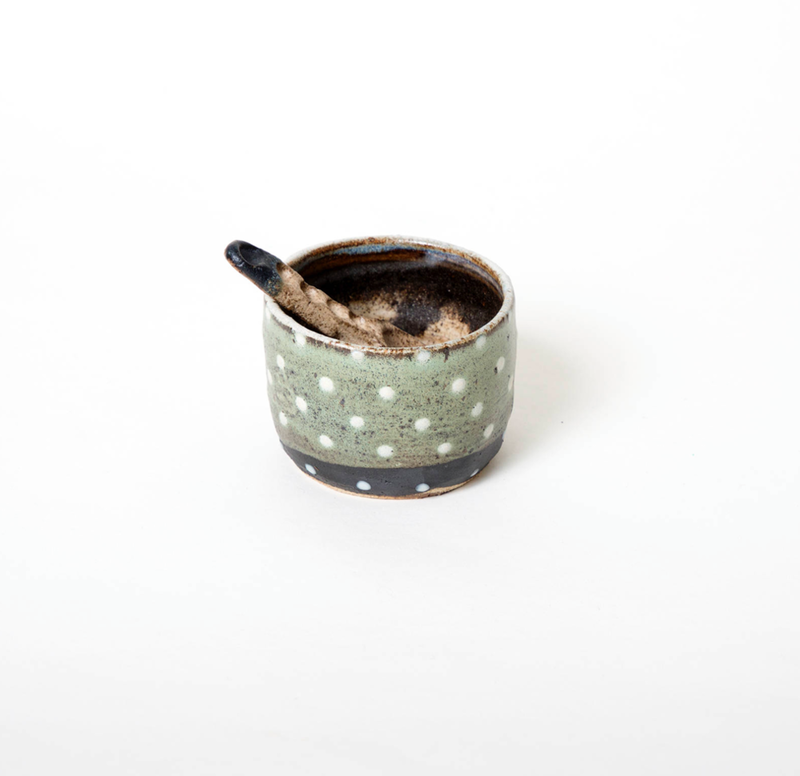 The pots are amazing, I love the colour and the design but they are also very strong and washable with the dishwasher. Eeli included in the design also my monogram on the bowls so they are super personalized. I use them everyday and I'm so Happy. Thank you Eeli! !